EDM, Roders CNC, Sodick and Sumitomo Precision Injection Machines, etc. 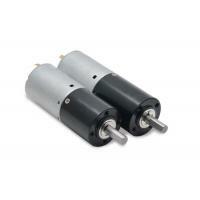 high-precision DC PLANETARY GEARBOX MOTOR, stepper motors, coreless motors & screws and plastic mesons with good quality, good price. Cost-effective solution for MOTION control & AUTOMAITON applications: medical, semiconductor, pumps, robotics, CNC, etc. 4) Precise electromechanical motion module. Automobile unit, automatic kitchen & toilet, home appliance, instrument & meter, medical appliance, personal care, safety monitor, digital camera, model aero planes and toy, etc.